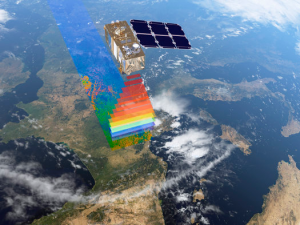 Fiducial Reference Measurements for Vegetation (FRM4VEG) is a European Space Agency (ESA) managed project focused on establishing the protocols required for traceable in-situ measurements of vegetation-related parameters, to support the validation of Copernicus products from Sentinel-2, -3, and PROBA-V.
Have documented SI traceability (or conform to appropriate international community standards). Be independent from the satellite geophysical retrieval process. Be accompanied by an uncertainty budget for all instruments and derived measurements. Adhere to community-agreed, published and openly-available measurement protocols/ procedures and management practices. Be accessible to other researchers allowing independent verification of processing systems. The project aims to develop techniques for applying, insofar as is possible, the FRM concept to in-situ measurements of three vegetation-related parameters. These are surface reflectance, the fraction of absorbed photosynthetically active radiation (FAPAR) and canopy chlorophyll content.